Reports suggested that Chinese engineers were testing techniques that could be used to build a 1,000-km long tunnel, the worlds longest, to carry water from Brahmaputra river in Tibet to Xinjiang. Reports suggested that Chinese engineers were testing techniques that could be used to build a 1,000-km long tunnel, the worlds longest, to carry water from Brahmaputra river in Tibet to Xinjiang. China later refuted it. 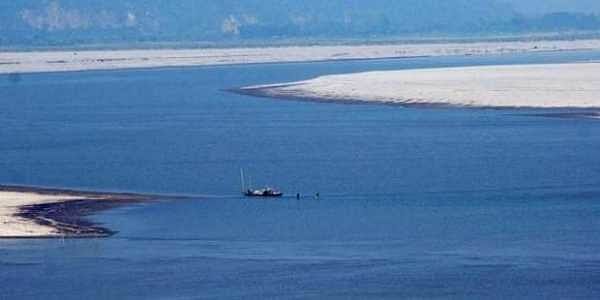 AGARTALA: Assam Finance Minister Himanta Biswa Sarma has requested the Centre to use satellite imaging to verify reports about China’s plan to construct a 1,000-km tunnel for diverting water from the Brahmaputra river. The BJP minister suspects that China may use ‘water bomb’ against riparian India by opening the gates of water reservoirs. Although the Chinese Government has dismissed such reports, the Assam minister raised concerns in light of the rapid and sudden floods occurring in the state despite lack of rainfall. Speaking on the state’s issues, the Assam Minister said the biggest hurdle in the development of Tripura was the Left, and that 50 per cent of the problems would be removed once the Manik Sarkar Government was out of power. He also demanded that all mysterious murder-related cases - right from TV journalist Santanu Bhowmik to the BJP workers, which are under SIT investigation - should be handed over to the CBI. Sarma informed that the BJP would be visiting Tripura for ground inspection about the reality of the murder of TV journalist Santanu Bhowmik on November 10, and that it was planning to make the journalist’s murder a prime issue in the coming Parliament session. The BJP leader who was on a two-day visit to Tripura to see party’s activities, alleged that the SIT of the Tripura Police was working as the B-team of the CPM and hence, he added, all murder and crime cases committed by its leaders are handed over to the SIT just for an eyewash and with very poorly investigated charge sheets. “The court has no other option but to acquit them,” Sarma added.